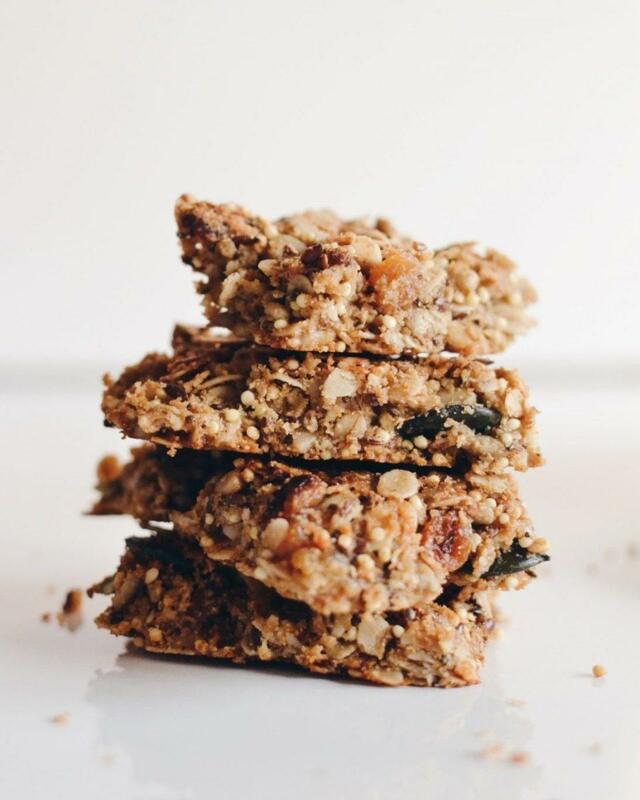 These crunchy and healthy granola bars are very easy to make and taste delicious. Mix the dry ingredients together in a big bowl. Warm coconut oil until completely liquefied. Add maple syrup and tahini and mix well. Mix the wet and dry ingredients and press the mixture into a 20x20 cm baking dish. Bake in the preheated oven at 170 degrees Celsius for 25-30 min. by this time the edges should be lightly brown and the surface gold. Let it cool completely before cutting it with a very sharp knife. These bars keep well at room temperature for about 2 weeks.